Brian's crew went off Turbot fishing. 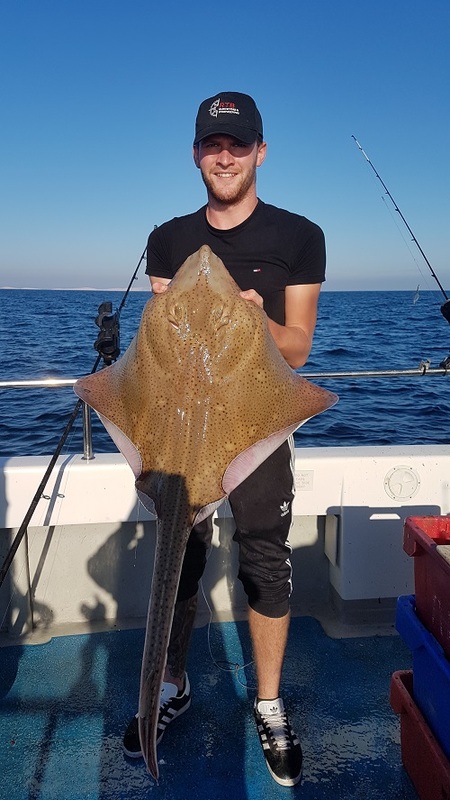 They managed to catch 10 Turbot on the day, 11 Brill and 2 big Blonde Rays (20lb and 21lb) which were caught by the same crew member. They were both returned back to sea alive. They were caught using Mackerel bait. 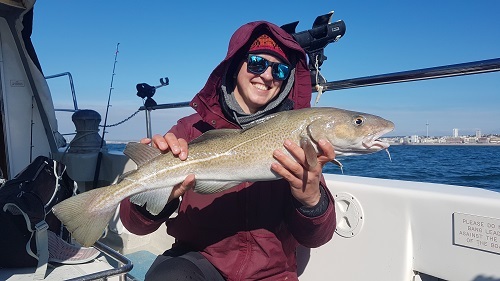 We have just been starting to get a few Cod beginning to show around the 4-6lb size at the moment while out on a Brighton Marina Winter Fishing Trip on the Cod grounds. Here is a lady with a nice Cod she caught. She also caught a nice Undulate Ray on the day. 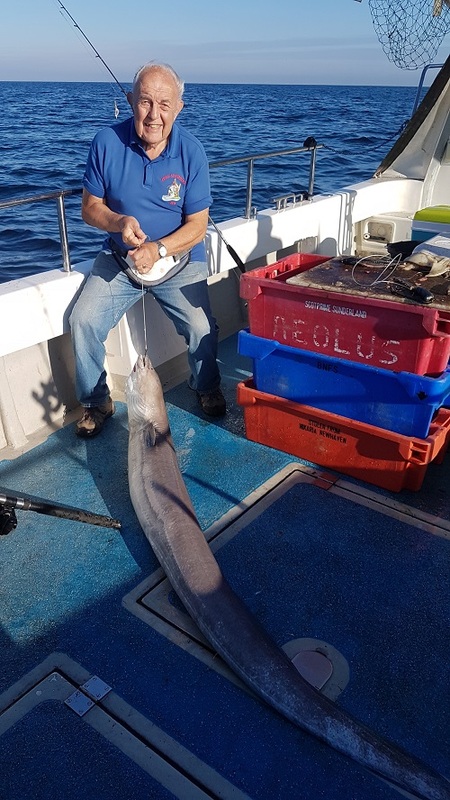 Andy Matthews came out for a day of Conger fishing with some cracking nice weather and nice tides. We had about 19 Conger off the wrecks. Andy had one around 50lb and Don had the biggest one of the day at 60lb. All eels were returned to sea alive. 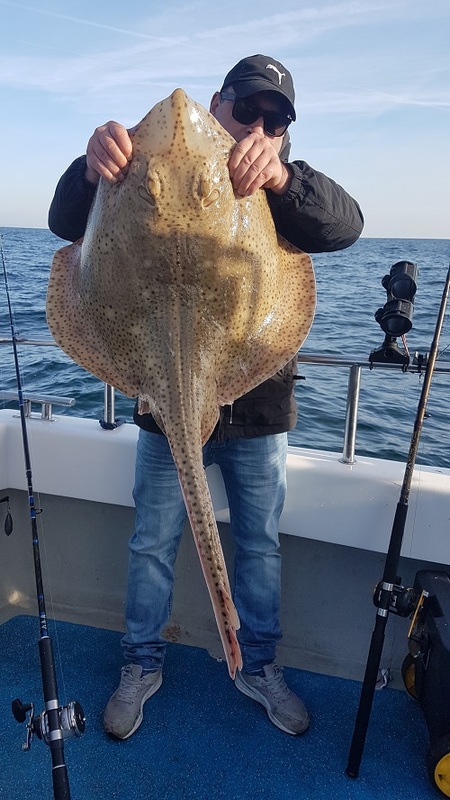 Also, Andy's son Ryan had a cracking Blonde Ray of 26lb, which was also returned to sea alive. Here is a picture of Ryan's 26lb Blonde Ray. He also had 4 Conger up to 42lb on the day. The eels and the ray were returned to sea alive. We are now looking forward to our Brighton Marina winter fishing trips for Cod as the weather will start to get colder now. 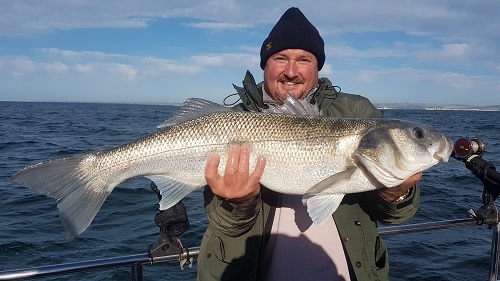 We welcome all types of anglers and take individuals, part bookings and full boat bookings. If you want any further information, call David on 07966 377145 or visit our website www.oceanwarrior3.com to book up your Brighton Marina winter fishing trip.